Through sheer volume of inquiries alone, Lisa and Randy knew there was clear demand for rust repair panels back in 1985 — enough to begin buying in bulk and selling them, which is exactly what they did. They first purchased a variety of panels from multiple suppliers for popular vehicles and models. Then they sold them over the counter and at local swap meets, handing out a hand-collated catalog whenever and wherever they could that detailed each panel. In time, they had a fully-functional business called Raybuck Auto Body Parts on their hands. And for years it was business as usual — new products were introduced, they produced a new catalog, and sales grew — until the dot-com boom hit. It would take two-and-a-half decades to turn that scroll of a catalog into a scroll down menu on a website. Witnessing ecommerce’s steady rise in the early 2000’s, Lisa and Randy greenlighted a webstore in ‘06 that quickly kicked their business into overdrive — the two found themselves selling and shipping orders nationwide at a more rapid speed. They adjusted, investing more time and money into their online storefront until it became the bulk of their business. But eventually, after years of making an honest buck, they decided to catch some rays in 2014; it was time to sell Raybuck and retire. That’s when Steve DeFrancesco pulled up. Both techie and gear head, Steve made a job out of building software and a hobby out of restoring classic and antique vehicles. And once his business partner bought him out of their bootstrapped software company, it was time to go down a different road. At the start, that something was software-as-a-service, but it ended up being an online broker-as-a-service that introduced him to his next endeavor — an online automotive site that put software in the rearview mirror. Steve had always been interested in all things auto, and after randomly finding Raybuck on a business-for-sale marketplace, the opportunity to run an online business combining his tech, business, and vehicle experience became a potential reality. He met with Lisa and Randy, got a look at their operation, and made an offer. It was a yes. They threw him the keys. After randomly finding Raybuck on a business-for-sale marketplace, the opportunity to run an online business combining his tech, business, and vehicle experience became a potential reality. Much has changed since 2006. Ecommerce has gone from zero to sixty in a narrow window of time, and Steve, from the second he entered the driver’s seat in 2014, was determined to renovate the online business. The website hadn’t changed too much since launch. Although it was well established and had handled thousands of orders for nearly a decade before Steve took the wheel, the website was little different than the bare essentials of a vehicle. It had its UI, its product listings, its payment processor, but much of it was clunky and in need of revamp. Like restoring an antique car, Steve’s first step was disassembly. Launched on an automotive ecommerce platform that served as a template and hosting provider for e-retailers looking to get into the industry, the storefront was proprietary and due for an overhaul. There weren’t too many nuts and bolts to the website, either — third-party apps and tools were sparse, and those that existed weren’t integrated. He began mapping Raybuck’s new specs, and one word would steer how the new storefront would operate: scalability. A well-oiled machine that’s both durable and flexible requires scalability if it’s to grow with ease, with each part working in tandem. All of the webstore’s new components needed to meet such requirements, Ordoro included. A well-oiled machine that’s both durable and flexible requires scalability if it’s to grow with ease, with each part working in tandem. With over ten years worth of customer and invoice data in the trunk and a total refurbishment of every service in motion, the transition took some time. After test driving multiple sales channels, Steve went with WooCommerce due to the control and flexibility it provided. Other scalable and compatible apps made it on board as well. And just as he purposely avoided siloing pieces of the business, the same had to go for warehouses. Raybuck fulfilled in-house while dropshipping, a hybrid fulfillment model that made for a more layered supply chain. Incoming orders oftentimes contained a mix of products — some fulfilled internally, others by dropshippers — complicating the fulfillment process and requiring Raybuck to manually create and route orders separately to suppliers. To streamline and accelerate the workflow, Steve tapped Ordoro for its order splitting and routing feature. All it took was importing products and vendors into the app and assigning them to their respective vendors. Once mixed orders arrived, the app automatically sent those assigned products to their suppliers. Raybuck fulfilled those stored in its own warehouse. And if new dropshippers came on board, scaling was as simple as repeating the process — add the new products and link them to their dropshippers. While it brought some fuel efficiency to the business by cutting down on the time and effort it took to fulfill orders, Ordoro also served as a dashboard. Each part of Raybuck’s frame — its sales channels, suppliers, and tools — integrated with Ordoro, making it a central hub for all matters shipping and inventory. The app set inventory management to cruise control, automatically adjusting quantities with every fulfilled order and flashing alerts when count was low. When it was time to ship, choosing carriers was like changing gears — whether FedEx SameDay or USPS First Class, plenty of delivery options were available, fast or slow. Each part of Raybuck’s frame — its sales channels, suppliers, and tools — integrated with Ordoro, making it a central hub for all matters shipping and inventory. Since its founding in 1985, little about Raybuck’s day-to-day operations had changed before Steve’s takeover, and he needed to make a bit of a 180. Although the business went online in 2006, much of the back office grind — finding, fulfilling, and filing orders — was offline and more manual than automatic. Lisa and Randy primarily dropshipped online, and they had their workflow down to a Ford Model T — it was old school, but it set the blueprint for the future. Once an order was made, dropshipments were printed and faxed to vendors. When an acknowledgment was returned, they printed it, stapled it to the order, and filed it away in a massive folder and file system dedicated entirely to dropshipping. Now, everything is online — not just the buying and selling. That ole hand-collated catalog is now downloadable in PDF form, accessible to anyone like it was way back. The paper-heavy file system has been digitized into a file folder. And those printed and faxed dropshipments are now sent off and saved in email form. Although the business went online in 2006, much of the back office grind — finding, fulfilling, and filing orders — was offline and more manual than automatic. The u-turn seems to have worked. Since optimizing Raybuck’s online storefront and using Ordoro, the business has brought order errors to a rolling stop and sped up its workflow, all while maintaining a consistent 25% growth rate. Not only that, the business is no longer a single product, channel, or country enterprise. 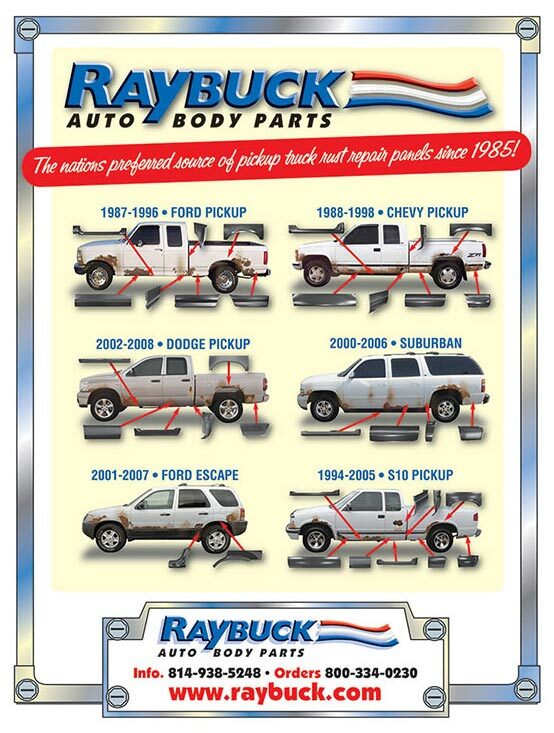 At its start, Raybuck dealt exclusively with rust repair panels, but it’s since expanded its offerings over the years. 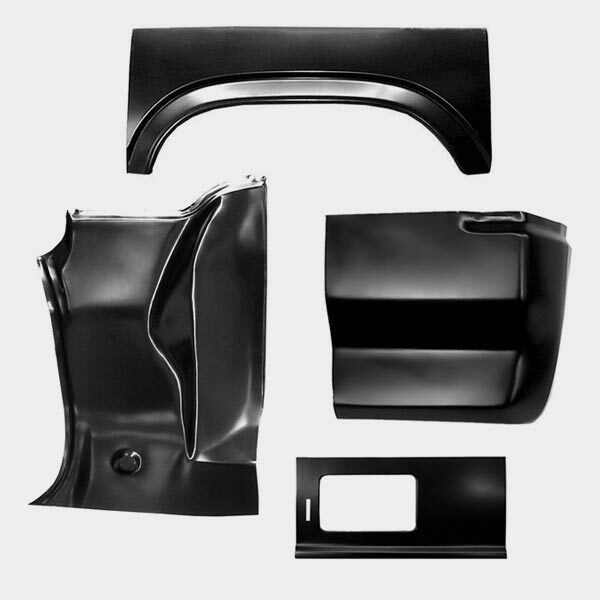 Its product catalog is souped up and packed with a variety of vehicle restoration and repair-related goods, moving beyond 17,000 SKUs. The store’s panels still receive the most traffic, but plenty of new arrivals are beginning to hit the road as they leave the warehouse, from fuel tanks and bumpers to sprays, paints, and seat upholstery kits. Raybuck’s WooCommerce-hosted webstore remains its primary channel, but select products are sold on other fronts like eBay depending on demand. More channels are in the pipeline as the online automotive market — one of the fastest growing areas of ecommerce — picks up steam, and plenty of gas is being pumped into the SEO and PPC tank, fueling search and order volume. 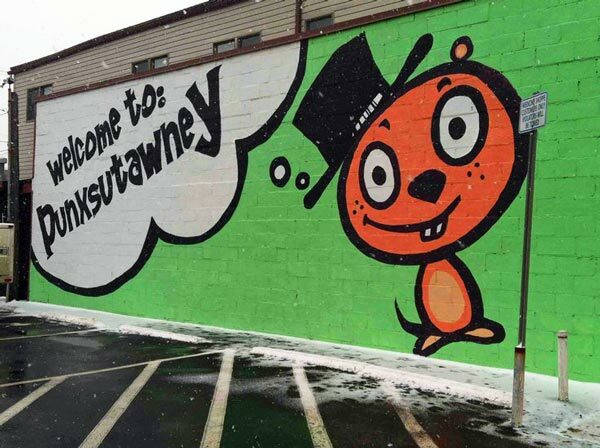 What began as in the rural city of Punxsutawney has also gone global. Since moving online and revamping the site, Raybuck has pushed its geographic reach, selling and shipping its products to consumers internationally. 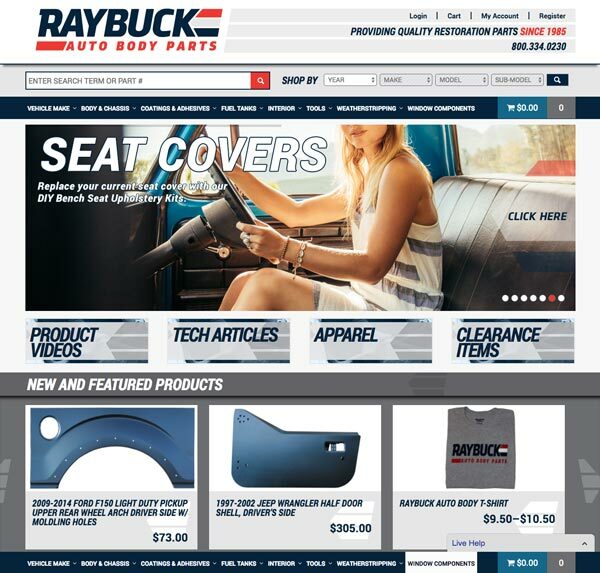 Since optimizing Raybuck’s online storefront and using Ordoro, the business has brought order errors to a rolling stop and sped up its workflow, all while maintaining a consistent 25% growth rate. Whether it’s a mom and pop shop selling panels or a software startup, neither Randy, Lisa, or Steve — even Phil the groundhog — could predict the winds of change on the way as they began their own enterprises. The Raybucks went from printing and distributing a hard-copy catalog of their products to posting them online for purchase on their website. Steve went from working on vehicles and building software to owning and modernizing a webstore selling automotive parts. Commerce used to be completely offline. Now online sales make a significant and expanding chunk of total sales. It used to be that you had to print, fax, and file transactional documents. Now it’s about emailing and saving. Only a limited amount of services were available online to help with ecommerce in the not-so-distant past. Not so anymore. But one thing has yet to change, something that’s fueled Raybucks and prevented it from rusting over the past thirty years: an engine of commitment. 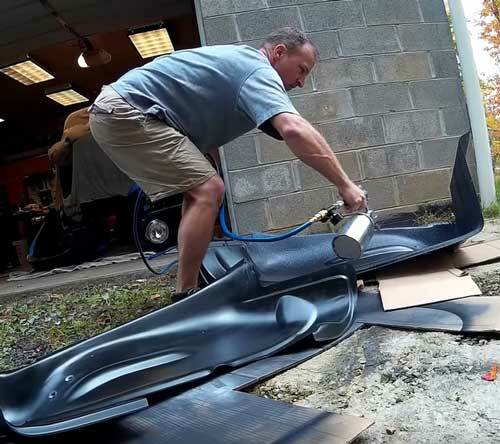 From 20th to 21st century, over-the-counter to over a dot-com, those rust repair panels have only sold because of Randy, Lisa, and Steve’s constant drive to improve and grow Raybuck Auto Body Parts. And as ecommerce revs up, it’s only beginning to burn rubber.